It’s a hard thing to believe, but it’s already been four whole months since the Hastings Entertainment retail chain finally closed its doors to the public for good and went out of business. I love Redbox as much as the next guy who ends up spending eighteen dollars to cover the late fees, but seeing as my childhood was predominately set in the 1990’s, there really is nothing like going to a video store and renting a bunch of films for a weekend. I remember back in my day it wasn’t as easy as “Netflix and Chill.” I actually had to go to Blockbuster or Hollywood Video and rent a movie to watch with my girlfriend (I’m just kidding. I’ve never had a girlfriend before..). However, it wasn’t until I walked inside a Hastings that I truly saw what a place like that could offer. Founded in Amarillo, Texas in 1968, the entertainment center spread to a few surrounding states including New Mexico over the following decades. Around 2010, the store became incredibly popular. Not limited to just being a video rental store, Hastings also bought and sold used movies and books along with having an extensive collection of comic books and merchandise. The amount of product they packed in their store was incredible. Clothing, board games, joke gifts, magazines and stuffed animals of your favorite cartoon character are just a few things they had to offer. It was a perfect place to look for things that personified the level of your personal geekiness whether you were a Trekki, a Star Wars Fan, a Ringer, a Pothead or a Whovian (Doctor Who losers, I mean, fans). 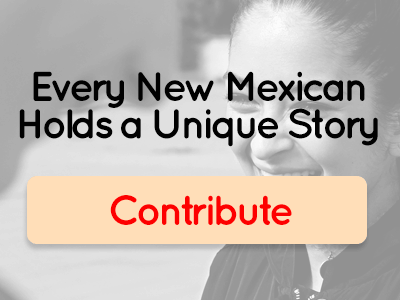 There were over a dozen locations in New Mexico and business remained consistent for a while. Eventually, a series of sales and purchases between shareholders took place and whether or not it directly affected their business, the company as a whole finally filed for bankruptcy in 2016. They had a chain wide sales event until the bitter end in late October of the same year and what used to be the coolest place to nerd out and make unnecessary purchases was closed for good. It may not seem like a huge deal and perhaps in the grand scheme of things, it isn’t the end of the world now that Hastings is gone forever. However, that establishment was one of the last retail stores to rent out movies out and just having a place that catered to book worms and film geeks and comic book nerds was a really welcoming thing. My favorite aspect of the store was the immense variety of their films. With most mainstream video rental spots back in the 1990’s and early 2000’s, getting your hands on independent features, documentaries or foreign films was difficult, but this store offered what many other places like it lacked and then some. Aside from the small mom and pop video rental stores, there’s not much else out there. I’m going to miss it, but perhaps it’s time to move on. We live in a different world and the ability to watch any movie or television show in existence is shockingly easy. We don’t have to go out shopping and search for interesting collectibles anymore. Now, we can go online and have it delivered to our doorstep. We don’t have to worry about renting a film and having to return it without suffering dreaded late fees (excluding Redbox, of course). Perhaps it’s time to let go and look back with fond memories. Places such as Hastings allowed me to watch an array of incredible films and, as cheesy as it sounds, shaped my appreciation and taste in film. I’ll miss you, Hastings. I’m sure I’m not the only one who will. Oh, hi! My name’s Ryan. I like to write, but I’m not much of a reader. I love sleeping even though it’s a huge waste of time. I like to drink good beer and eat good food, but I don’t like getting fat. I like to party even though I don’t know how to socialize. I love to sing even though my voice offends people. A lot of what I do revolves around film. If I’m not making movies, I’m watching them and if I’m not watching movies, I’m critiquing them. I enjoy my humor with a heavy dose of sarcasm. I also like coffee, road trips and the sound that Zippo lighters make.